A holiday home of the special type in a wonderful panoramic setting directly at Lake Garda. Enchanting, charming and located directly at the shore of the lake garda. Rustico am Lago is a small jewel amidst the beautiful setting of Lake Garda. The 300 years old building was carefully restored and is now a beautiful holiday home, which combines Mediterranean cottage style with high-quality interiors and a love for detail. More than a holiday villa... the secret home of the good life. Inside design. Outside nature. Stylishly exclusive interiors meet Mediterranean opulence. Peace and relaxation with a southern outlook, the Dolce Vita and countless hours of sunshine. The combination is unique. 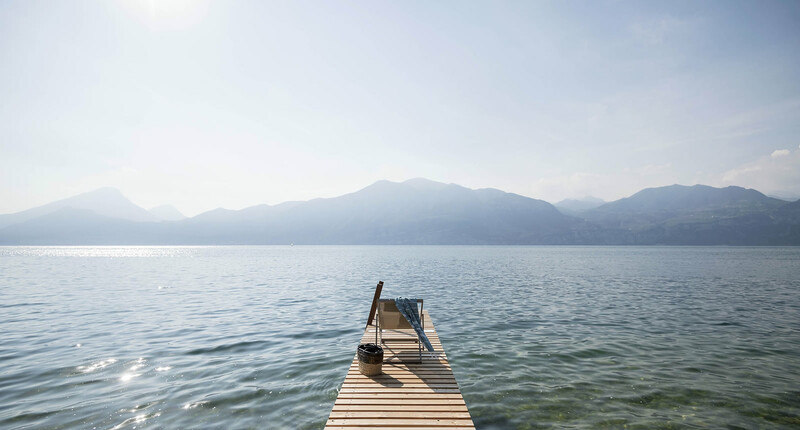 The feeling that you get on a holiday at the Villa am Lago is a lot like this. A unique hideaway right on the shore of Lake Garda in Castelletto di Brenzone. Lake Garda - A Desirable Haven. Mediterranean lightness, alpine down-to-earthness. The shimmering blue of Lake Garda is, alongside the mountains of South Tyrol, our second home. And it is where we fell in love too. With two special homes that we have renovated with plenty of passion and furnished with high-quality interiors, so that they could be reopened for our guests as exclusive holiday homes with a special kind of charm. Both with a view of the sparkling blue of Lake Garda. Each with its own, very special past, each in its very own, magical style. A very warm welcome to the Rustico am Lago and the Villa am Lago!